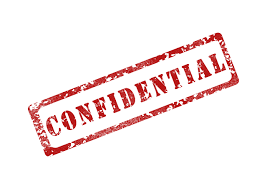 Confidential business information (CBI) appears frequently in environmental information, often making complete environmental data hard to come by, because CBI is exempt from FOIA disclosure. Incomplete information can negatively impact environmental decisionmaking. The FOIA contains nine major exemptions, including one for “Information that concerns business trade secrets or other confidential commercial or financial information” or “Confidential Business Information” (CBI). If agency records fall an exemption, the public can’t get those records through FOIA. When the EPA relies on incomplete data, eventually major agency decisions are made based on that same incomplete information. This eventuality occurred last month when the Bureau of Land Management (BLM) issued a final rule on hydraulic fracturing (“fracking”) on federal and Indian lands. The agency’s final fracking rule relied heavily on data collected from FracFocus, an industry-created chemical disclosure registry riddled with information gaps created by CBI omissions. Even though the EPA admitted that 70% of the FracFocus disclosures were incomplete because of CBI exemptions and reported that “The Project database is an incomplete picture of all hydraulic fracturing due to the… omission of information on CBI ingredients from disclosures,” the agency used FracFocus as a key source for fracking information. The EPA compiled FracFocus data “to better understand the chemicals and water used to hydraulically fracture oil and gas production wells in the United States and how chemical and water use vary in different locations across the country” even though the data was not reliable because of gaps created by CBI omissions. Meanwhile, experts outside of the EPA also decried FracFocus as an unacceptable source of chemical disclosure information, saying it fails as a regulatory compliance tool in large part because of the inaccurate and incomplete information due to the absence of any data considered a “trade secret” or confidential business information (CBI). Despite the clear lack of complete data in the FracFocus registry, the BLM heavily utilized the registry when it finalized its most recent hydraulic fracturing rule. In fact, the BLM is now working with the private industry groups that created FracFocus - the Ground Water Protection Council (GWPC) and the Interstate Oil and Gas Compact Commission (IOGCC) - to channel the fracking industry’s public disclosure of hydraulic fracturing fluid chemicals through the same FracFocus registry. Identity of product inert ingredients. Identity of product ingredient source. Description of manufacturing or quality control processes, and corresponding impurities. Information about a pending registration action. Sales, production, or other commercial/financial information.